Ms Gandhi said PM Modi did not spend even five minutes in Varanasi with anyone in the last five years. "It is ''Mahapurush'' (B R) Ambedkar ji's birth anniversary. He laid the foundation of this country through the Constitution. It is the duty of every leader to respect that Constitution. 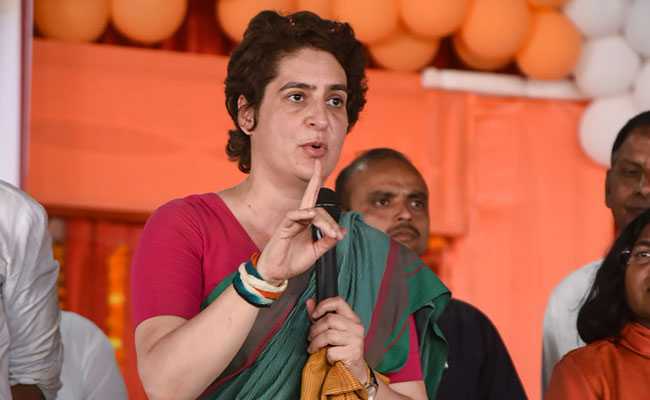 "Today, you are seeing that the Constitution is not respected and an attempt is being made to destroy it," said Ms Gandhi, who is Congress's general secretary in-charge of Uttar Pradesh East. Ms Gandhi said she was told by people in Varanasi that PM Modi did not spend even five minutes with anyone there in the last five years. "But in his own constituency, he did not go once to a family's house to enquire about their condition," she alleged. Speaking highly of Sushmita Dev, Ms Gandhi likened the Congress lawmaker with her grandmother and former prime minister Indira Gandhi. "If you remember Indira Gandhi even today, it is because she worked for you. I have come here for Ms Sushmita. She has that courage which Indira ji had. Ms Sushmita has that honest and good intention, and wants to work for you from the heart," she added.